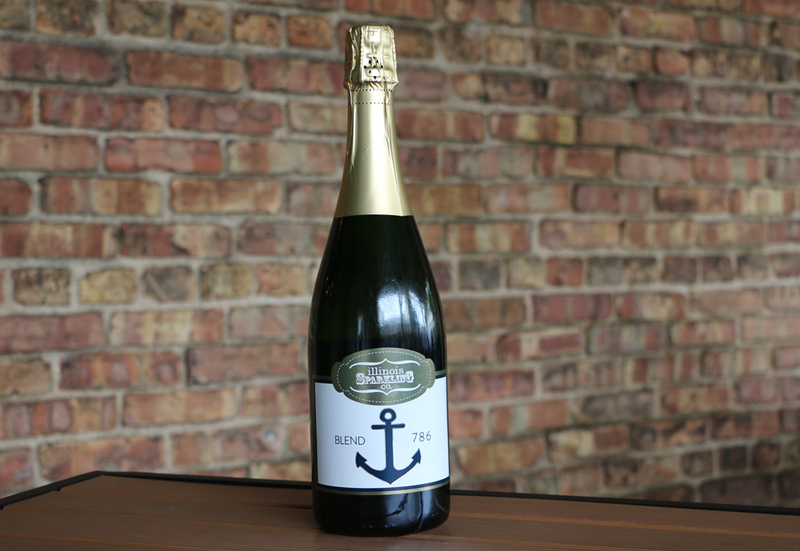 Illinois bubbly served at USS Illinois Commissioning - Illinois Sparkling Co. The commissioning ceremony for the USS Illinois (SSN 786) submarine occurred on Saturday, October 29 in Groton, CT. The commissioning ceremony is an important tradition of the United States Navy. This is the final and perhaps the most significant event of the major events that bring a ship to life. A local bubbly, made by Illinois Sparkling Co., was served at two key celebrations during commissioning weekend. This traditional method sparkling wine, named Blend 786 after the ship’s number, was created specifically for the christening of the submarine, which occurred in October, 2015. The night before the commissioning, at the Chairman’s Reception, all guests were welcomed with a glass of Blend 786 served in a commemorative glass, setting the atmosphere for celebration. Those attending this reception included the builders and contractors of the boat; Illinois dignitaries; Navy representatives including the Chief of Naval Operations, Admiral John Richards; and United States Secretary of the Navy, Ray Mabus. The second key celebration where the sparkling wine was served occurred immediately following the commissioning of the USS Illinois. “We were very excited when the commissioning committee asked us to be a part of these memorable celebrations, and we are honored to be able to attend this historic event.” said Mark Wenzel. Mark is the winemaker, and he and his wife Teri are owners of Illinois Sparkling Co. Blend 786 is made from 100% Illinois-grown grapes and is an extra dry blend with notes of honey and green apple along with plenty of Prairie State pride. For each bottle sold, $5 is donated to the USS Illinois commissioning committee, who provides support for submarine crew members in times of need. You can find Blend 786 and other Illinois Sparkling Co. wines at their Tasting Room in Utica, IL. For more information on Illinois Sparkling Co., visit ISCbubbly.com. For further information on the USS Illinois submarine, visit USSillinois.org.